It’s National Zoo Keeper Week and we’re sharing the love! To recognize the dedication and hard work of our amazing zookeepers, we are posting an interview of a keeper each day this week. 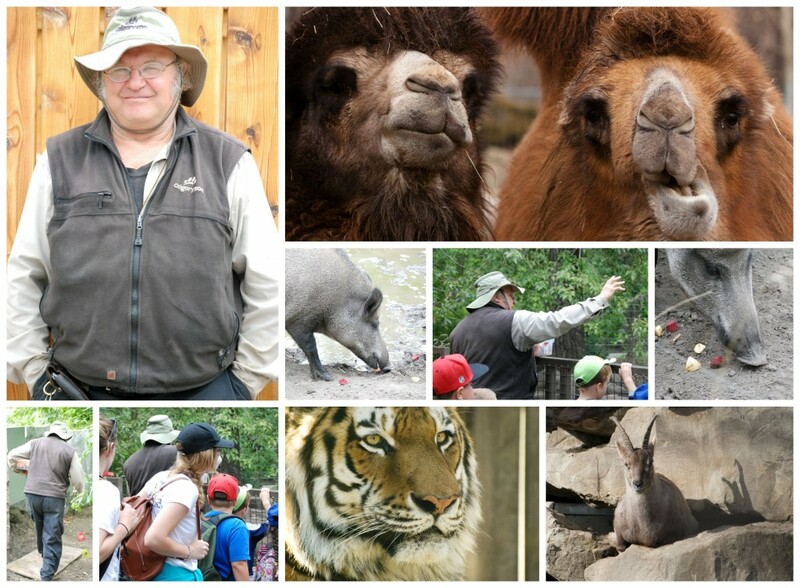 We loved talking to Larry, who found zookeeping by chance and found his passion. A: “I was working with our Bactrian camels, and another zoo staff member called me to let me know that a camel named Brendan had got his foot stuck between a feeder and a tree. I went in with a little bowl of food to calm him down, and I helped him get his foot free. I get a call the next day that the same camel is stuck again, so I grab some food to calm him down, and help him again. By the time I’m called on the third day, I know that something’s going on. Sure enough, I arrive, and the camel is just resting his foot on the spot where it had been stuck. He was training ME! I was bringing him food right at lunchtime. That’s why it’s so important to train the animals well- or they can run the place! This story took place about 30 years ago, so they can’t trick me anymore- I’ve caught on.